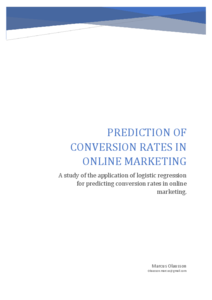 Prediction of Conversion Rates in Online Marketing - A study of the application of logistic regression for predicting conversion rates in online marketing. the advertisers webpage, or buying a product. customer, they can calculate the value of that click.